The state of New Jersey has announced its plans to get out of the media industry. 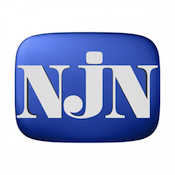 The state will retain ownership of its four television stations, but will transfer operation of NJN to WNET-TV. WNET will rebrand the stations as NJTV beginning on July 1, pending approval by the state legislature. Its nine radio stations will be sold and split between Philadelphia’s WHYY and New York Public Radio. 89.9 WNJM Manahawkin, 90.3 WNJZ Cape May Court House, 89.7 WNJN-FM Atlantic City, 89.3 WNJB-FM Bridgeton, and 88.1 WNJS Berlin go to WHYY for just under $1 Million. New York Public Media, owners of 820 WNYC, 93.9 WNYC-FM and 105.9 WQXR add four signals; 88.1 WNJT Trenton, 90.3 WNJO Toms River, 88.5 WNJP Sussex, and 89.3 WNJY Netcong for $1.8 Million.